4k00:21BC Wildfire smoke covering mountains in unique drone perspective. 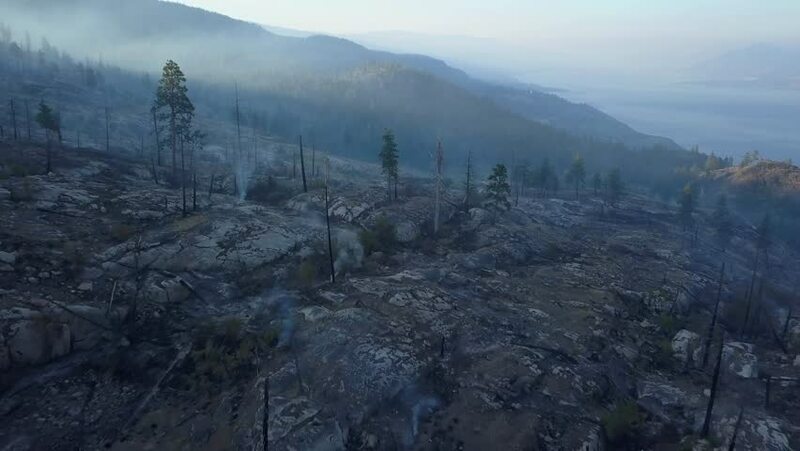 Rare view onto landscapes affected by forest fire. Smoke covering trees, hills and lake. Sunset smoky skies.